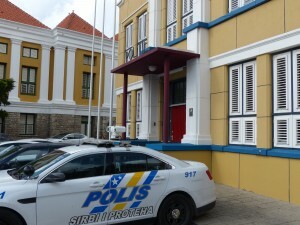 WILLEMSTAD - You should not be surprised if surveillance police cars become dirtier each time. The car wash service of Bob's car wash in Zeelandia and Kolebra Berde cannot be used starting tomorrow. The contract was canceled by the police because of budget cuts. The cars can still go to the police garage in Saliña. But only on Saturday between 8 o'clock in the morning and 3 o'clock in the afternoon. With 250 cars that have to be cleaned every week, that becomes a challenge.